The difference I found was in my expectations for myself. After the first week, and the inability to finish a class, I needed more, so 5 more classes were purchased. This process repeated many more times until I came down with a terrible side effect from the medication I was taking. You see the goal was to take the medication for a year and get off while increasing the yoga practice. 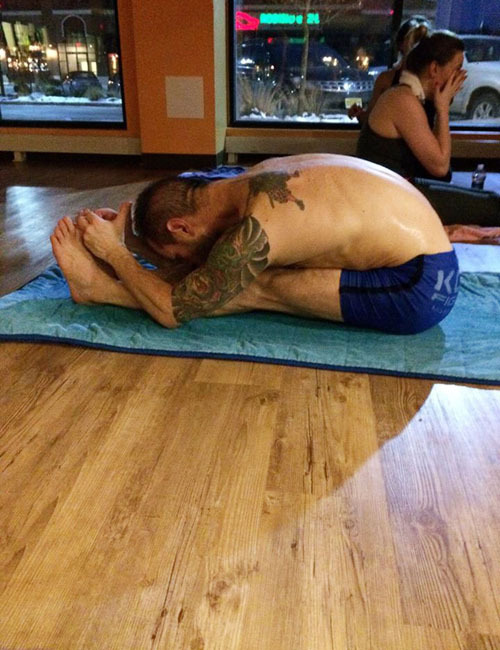 I was hooked after the first class, because I wanted to win yoga. Not realizing that, like martial arts, it is a practice intended to be practiced for a lifetime. This is the great parallel, the perfect compliment. To me, the practices are the opposite sides of the same coin. Both are used for preservation of the mind and body. The rigorous effort applied in training will serve you in other areas go your life. The physical benefits to both practices include, better flexibility, cardiovascular conditioning, improved balance and coordination, and in both cases the physical activity squeezes the lymph glands in the neck, shoulder and groin areas which help the body remove toxins. Mentally, both practices, improve focus, self control, listening skills, and destroy the ego so that you may become a better person. So you see how it makes the transition from one to the other not only very seamlessly but in my case I think necessarily. 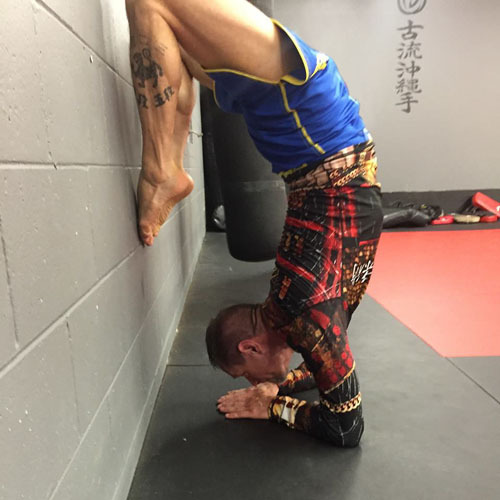 I do not want to put down other traditions of yoga as there are several that are equally as challenging if a Bikram studio is not close by, specifically, Ashtanga and Iyengar methods. The reason I personally stay away from the power yogas or the Vinyasa flows are very simple. These traditions are modern interpretations of yoga sequences just put together in random order. They can surely be challenging. 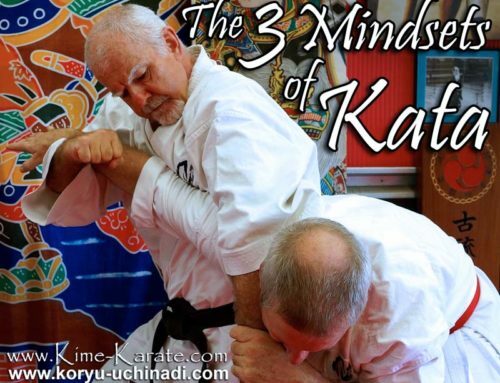 To use a karate analogy, we have certain prescribed forms called “kata”. 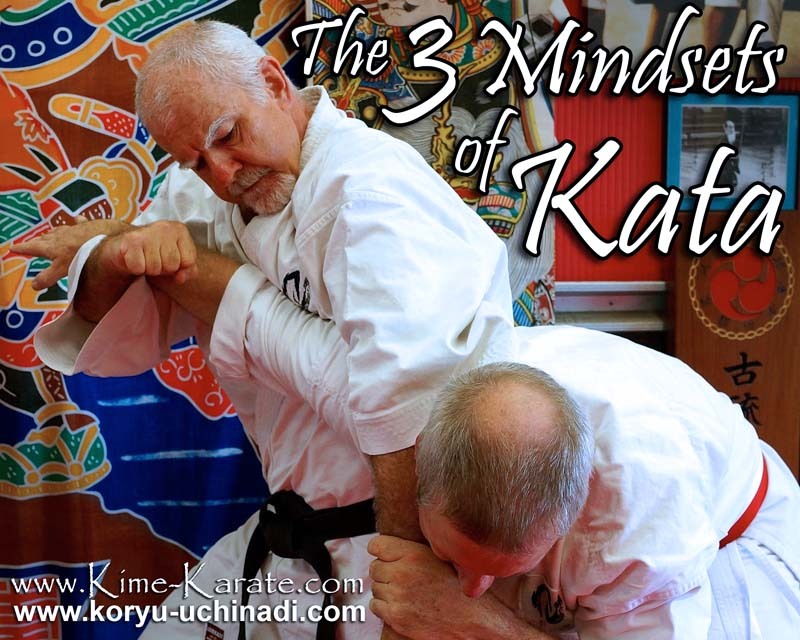 These kata were put together by master level instructors many years ago and have withstood the test of time due to their effectiveness. Who are we to change the order, or even yet, just bypass them and make up our own. Isn’t it likely we can add flashier movements, make them longer and more challenging than something that is 24 or 26 movements long?? This is done all the time by martial artists on the open tournament circuits, however, if one truly understood the intentions of the old masters, then they would see the originals were all that would be needed. No need to reinvent the wheel. So the side effects of taking yoga and adding it to my weekly practice have been nothing short of extended training time, less injury, more strength at the core level (functional muscle comes first then ornamental muscle), the ability to withstand the heat better in other forms of activity, increased lung capacity, less aches and pains (there is no build up of lactic acid in a Bikram yoga class due to oxygen exchange at the cellular level combined with the final breathing exercise which removes lactic acid), better grip strength, more awareness of the self, and a better overall feeling towards others. 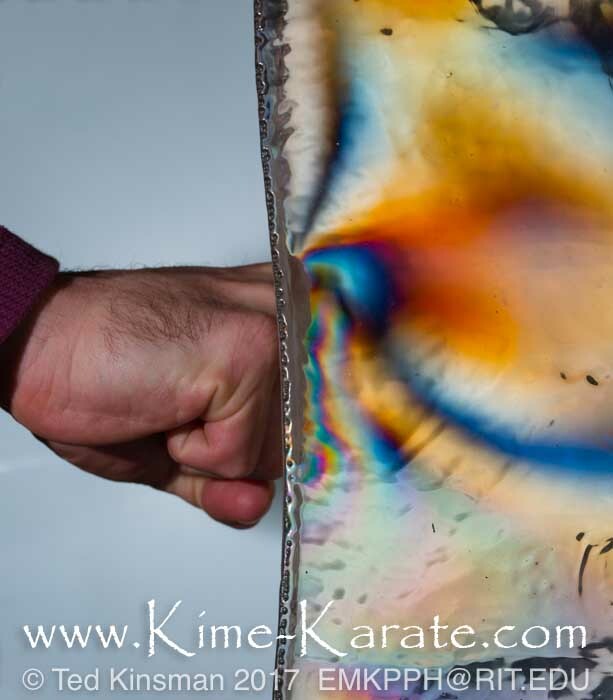 Again, as martial artists, we are not looking to go out into bars and start fights, a side effect of training in martial arts gives us a confidence that, if encountered with a bad situation, we can negotiate it. A side effect of hot yoga training, is compassion for those around us who cannot touch their toes, or bend down to put their shoes on. In fact, personally I am blown away by the number of people who are not able to touch their own toes. 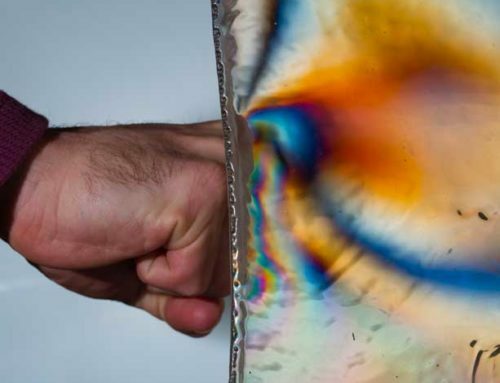 In a world full of forward bending, cell phones use, tablet use, personal computer use (a-hem), driving, sitting in a classroom, etc we are encouraging our spines to compress upon themselves. Postural, we are a wreck. 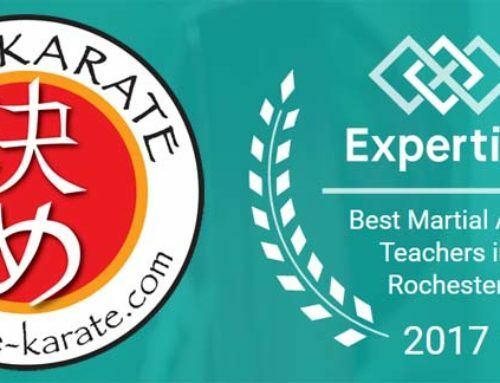 Martial arts training stresses postural and structural alignment, yoga enforces it. 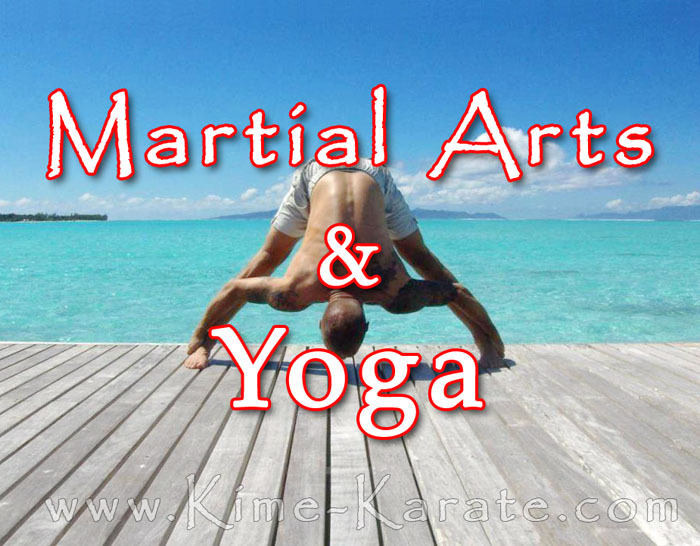 Martial arts training stresses proper form, yoga enforces it. 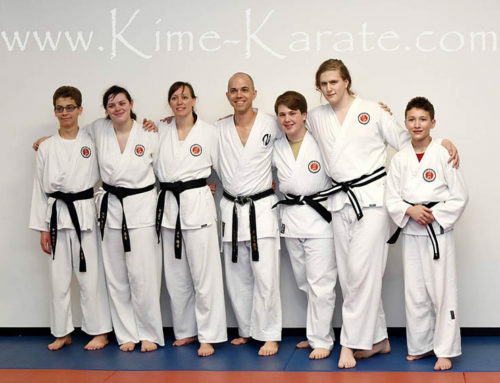 Martial arts training stresses the killing of the ego, yoga enforces it. Both practices are ancient methods and both are the opposite side of the same coin, The perfect compliment. 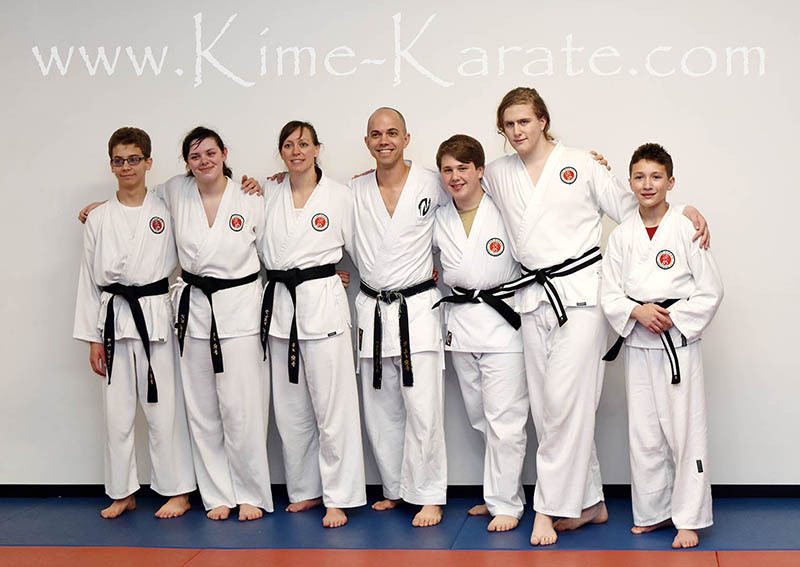 Training in martial arts since 1977. A high ranking black belt in Shotokan karate. 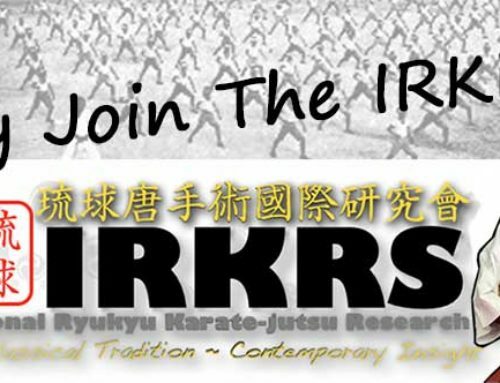 Joined the IRKRS in 2002, currently Renshi level instructor and 5th dan in Aiki Kenpo Jujutsu (AKJJ) under Hanshi Patrick McCarthy. Teaches out of Sewell, NJ. Follow Renshi Lopresti on Instagram and Facebook.